So, if yesterday's "Peek-a-boo" post had you intrigued, well here are few more images of my first spooky Spider Candy Cup! He just listed on eBay this evening and over the course of the next 5 days will be looking for a Halloween home. If you would like to provide him a cozy cobweb, please place a bid before Friday night and thank you for your generosity and your interest! 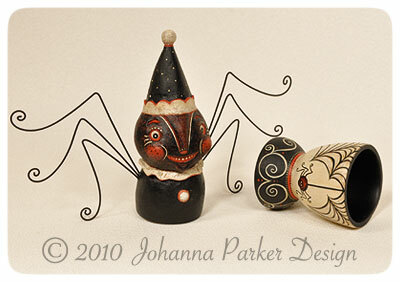 You can visit my Spider Candy Cup Auction Here! 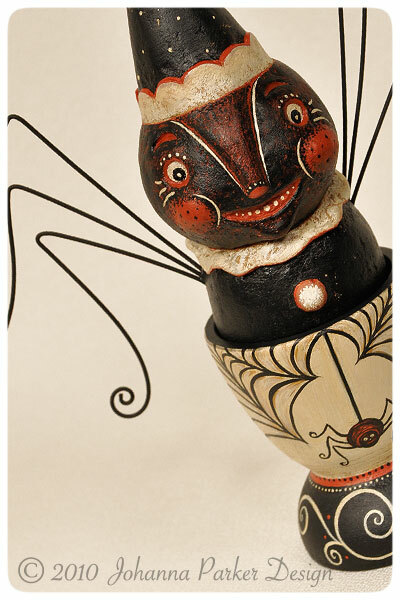 * With or without his candy egg cup base, he is quite the whimsical arachnid indeed! 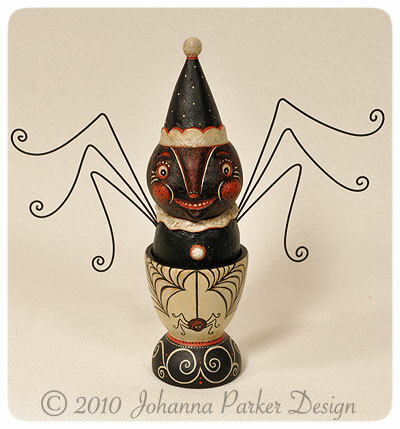 * I designed this special fellow, inspired by EHAG's Black & White Fright Challenge, going on this week!